Frottage drawing is an automatic technique developed by Max Ernst during the heyday of the Surrealist movement in the 1920’s. Frottage is French for “rubbing”, and one rubs whatever surfaces are in one’s environment with a graphite stick transposing those surfaces into images on paper. While it is related to the simpler grave rubbings, this is very different. The purpose is to collage one’s environment into a cohesive composition, blending chance discovery with purposeful direction. Surrealists championed this technique because it helped bring their dreams to life. 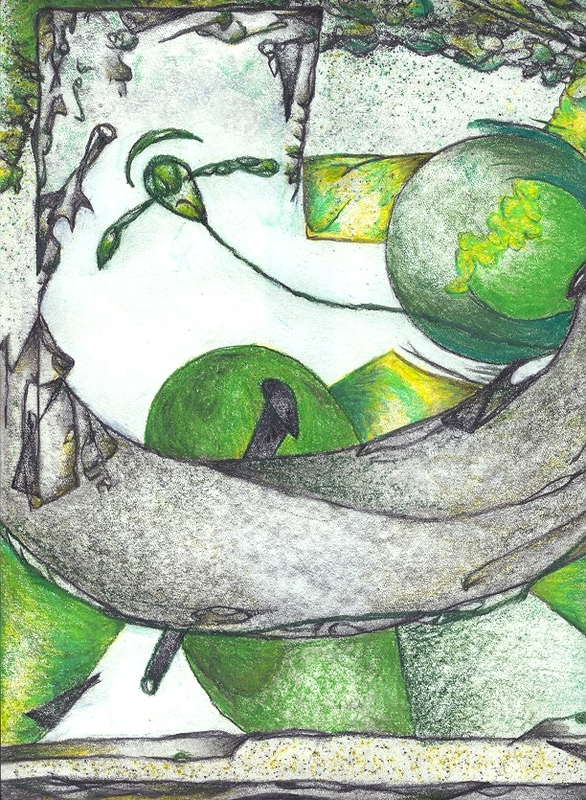 Drawn to this concept of “discovery through chance” Roger Clark Miller has been engaged in Frottage drawing since 2001. He has created frottage drawings for album covers, (others as well as his own), for a Readercon book cover, and he has been reviewed in the Boston Globe, Boston Phoenix, and other publications. He has also exhibited his work at the Milton Art Center, the Center for Arts at the Armory, ZuZu’s Gallery at the Middle East, Space 200, The Zeitgeist Gallery, the Paradise Lounge Gallery and the Bernard Toale Gallery as part of the Boston Drawing Project. Miller can supply up to 25 (or more) pieces ready to hang, of various sizes, as well as photographs which are also often included in his shows. Miller can also talk about frottage drawing and give a lecture demonstration leading others to create their own frottage-based drawings. He can also speak on Surrealism, its meaning and history. To see Miller’s work, visit his Frottage Page.